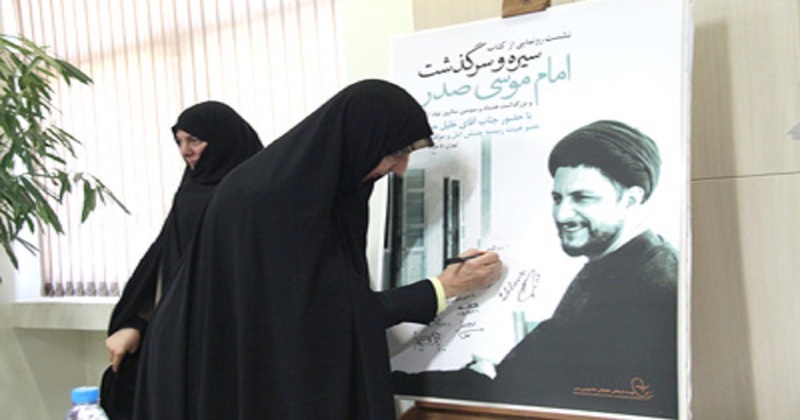 journalist Salwa Fadel wrote an article around the criticism of Hezbollah community towards Rabab al-Sadr upon her participation in the Imam Mousa Al-Sadr’s honorary ceremony held by the Saudi embassy and not other participants namely AMAL. What are the motives that drove the Saudi embassy to honor Sayyed Mousa Al-Sadr more than four decades after his abduction? The third cultural forum was held under the patronage of the Saudi embassy’s acting affairs officer Walid Al-Bukhari, amidst the participation of a number of Sunni, Shiite, and political figures of various affiliations; prominently Rabab Al-Sadr Sharafeddine, the sister of Al-Sadr, and the representative of Speaker Nabih Berri MP Ayoub Homayed. “However, concerning the relation between Hezbollah and Saudi Arabia the issue has gone beyond internal matters, and it will not reach the point where Berri has to play the role of the mediator. The dispute is bigger than all the parties, and the issue will not be resolved through Berri,” Mansour continued. The participating parties included AMAL movement represented by Dr. Ayoub Homayed, Mrs. Rabab al-Sadr and Raed Sharafeddine representing the family of Musa al-Sadr, the Shiite council represented by Shaikh Hassan Sharifa, and the Shiite opposition represented by Ibrahim Shamseddin, Dr. Harith Sulaiman and Malik Mroue. The participants were not unilateral and represented different affiliations, whereas the main absentee was Hezbollah.